A brand new arrival to the collection, purchased direct from the owner. The badge pre-dates Stoke earning city status, which was granted in 1925. 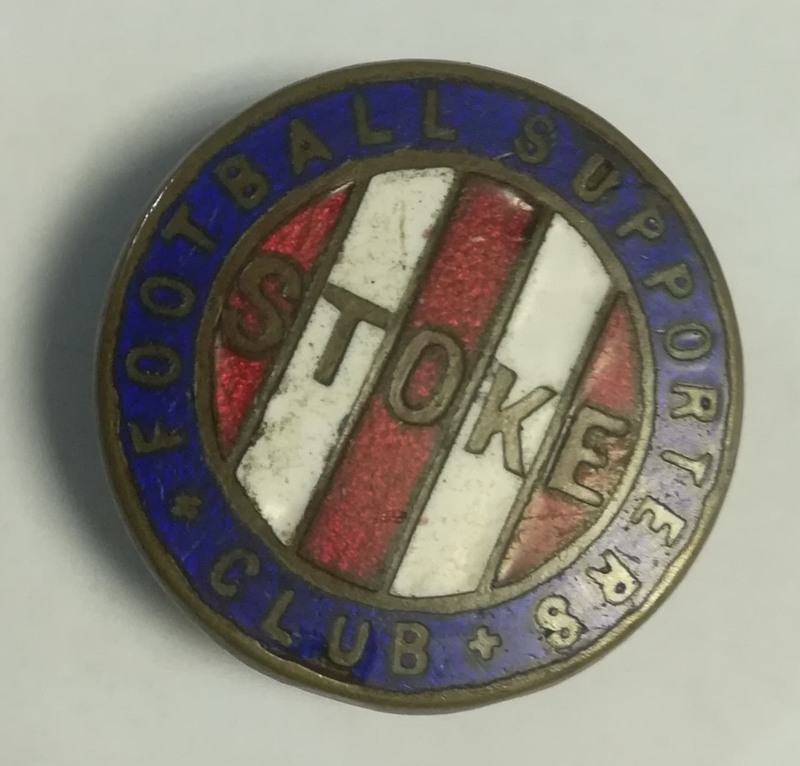 A fantastic early example of a Stoke supporters badge, it features the famous red and white vertical stripes of the world’s 2nd oldest professional football side. In 1891, Stoke actually had to abandon their favoured strip when a Football League ruling stated that only one club per season could use a specific style of strip, which was also the choice of Sunderland. The Potters lost their Football League status in 1908, at which point they reverted to their favourite colours, and by the time they joined the league in 1919 the ruling had been scrapped.